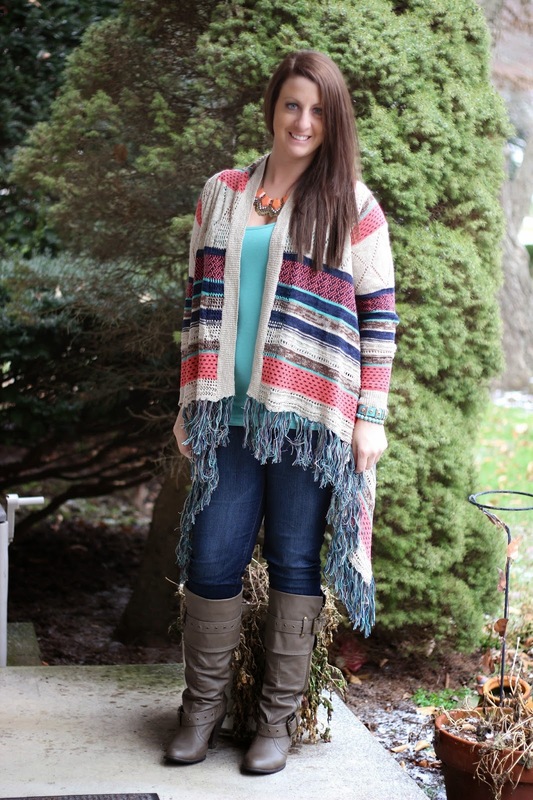 I love colorful cardigans because it makes it so fun to select colored jewelry, camis, and more! Jeans c/o Articles of Society | Boots - Not Rated | Cami & Cardigan c/o Maurices at Rockvale Outlets Lancaster | Necklace - Capwell & Co. Thank you Tori! It's so comfy!